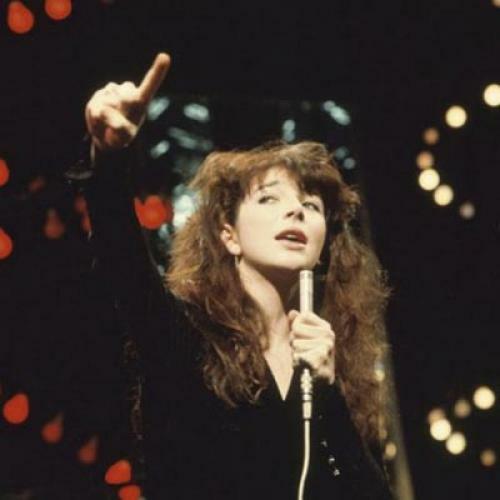 Like the Victorian spirits and sci-fi demons who haunt her songs, Kate Bush has a way of drifting away and reappearing just when you had almost forgotten about her. After her spectacular arrival as a pensive and sensual woman-child of art pop in the 1980s, she recoiled, gave up touring, focused on recording, and fell into a pattern of retreat and return that she has kept up for decades now. Her music has grown progressively progressive—more electronic and cerebral, the kind of work that European audiences tend to revere for its intellectualism and Americans tend to resist as pretentious and European. I’ve never fully fallen for Bush, though I admire her seriousness. There’s a place for intellectualism in music, and Bush’s work comes off to me as something other than pretentious. Self-indulgent, yes; icy, sometimes. But those are failings different from pretense. A week or so ago, Bush released the first single from an album due to come out in November, 50 Words for Snow, which will be her first project of all-new material in six years. The song, “Wild Man,” is an irresistible mood piece and, among Bush’s fans online, has been taken to draw its allusory power from the myth of the Yeti. That seems right for Bush to me. Accordingly, in the spirit of the imminent holiday, I’m sharing the official video of the song, which has no images and is, hence, not really a video, as well as a fan video that sets the song (at a sped-up rate) to a ’70s monster cartoon, along with a spookily ridiculous fan mash-up of Bush’s song from 1985, “Hounds of Love,” to footage from the drive-in horror picture Night of the Demon.